Marine, Estuarine and Freshwater Biology Major B.S. What is marine, estuarine and freshwater biology? Marine, estuarine and freshwater biology is a wide-ranging discipline that covers everything from the smallest aquatic microbes to whales, as well as emerging opportunities in shellfish, fish and seaweed farming. The program builds on a core curriculum in math, chemistry, physics and biology, and branches out into the aquatic sciences. Students specialize in their own areas of interest, preparing for exciting careers in fields including research, teaching, conservation, fisheries and aquaculture. 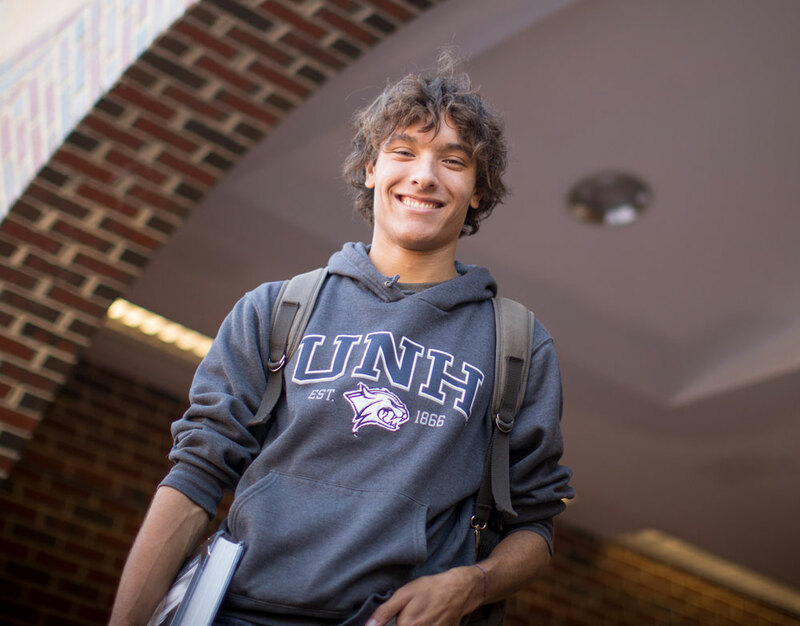 Why study marine, estuarine and freshwater biology at UNH? State-of-the-art facilities, hands-on learning with an emphasis on undergraduate student research, and an incredible location make UNH the perfect place to study marine, estuarine and freshwater biology. 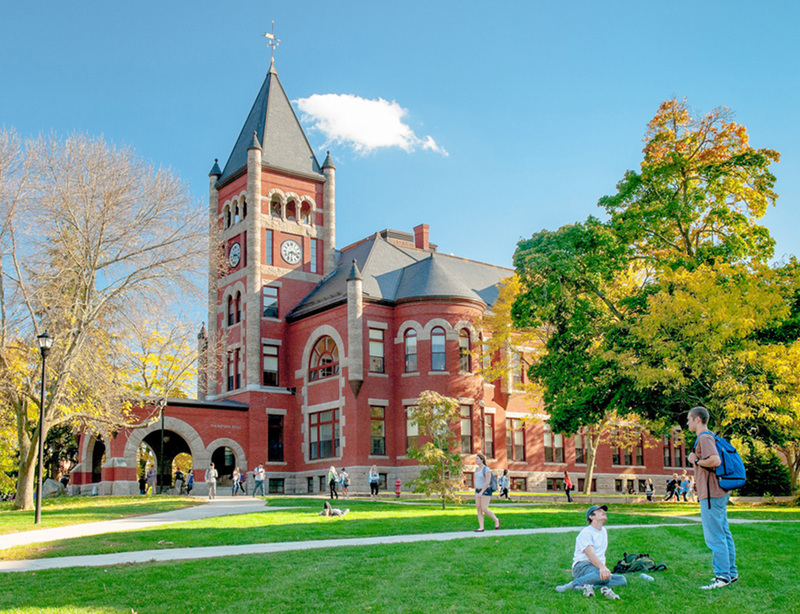 The university is close to the New Hampshire Seacoast, the Lakes Region and the White Mountain National Forest, providing endless opportunities to study aquatic organisms and ecosystems. UNH has aquaculture facilities and coastal and estuarine research laboratories. Together with Cornell University, it administers the summer undergraduate programs at the Shoals Marine Laboratory on Appledore Island off the coast of New Hampshire and Maine. Mary Kate Munley '21 is driven to keep seizing opportunities and gaining the skills and knowledge she needs for a successful and rewarding career as a marine biologist. The Major in Marine, Estuarine and Freshwater Biology is intended to give students interested in the fields of marine and freshwater biology the background to pursue careers, including potential advanced study, in this area of biology. The major builds on a broad set of basic scientific courses represented by a core curriculum in math, chemistry, physics and biology. The background in basic science is combined with a series of required and elective courses in the aquatic sciences from watershed to ocean. The goal is to provide a solid foundation of knowledge in freshwater, estuarine and marine biology while having the flexibility to focus on particular areas of scientific interest from molecular biology to ecosystem studies. Students will have the opportunity to specialize in areas of their own interest, such as aquaculture and fisheries or animal behavior. The University's location and facilities provide unique opportunities for the study of aquatic organisms and systems due to its access to the seacoast and the lakes region of New Hampshire, White Mountain National Forest, and the presence of two coastal marine laboratories, as well as estuarine and freshwater facilities. There is a strong teaching and research emphasis on ecological and physiological processes in aquatic plants, animals and ecosystems. A major strength of the program is the hands-on approach to teaching combined with an emphasis on involving undergraduate students in research. Courses used to satisfy MEFB major requirements may not also be used to satisfy the 3 required electives. Primary focus of the project must be Marine, Estuarine and/or Freshwater. Courses marked with (SML) are courses taught in the summer at the Shoals Marine Laboratory. Courses marked with (C) can be used to fulfill the Capstone requirement. Courses listed in more than one category will satisfy requirements in only one category. One 600 or 795 experience totaling three or more credits or any two 795 experiences of two credits each can fulfill one course requirement in any category with adviser approval. A Petition for Academic Variance approved by the chair of the Department of Biological Sciences is required to count 795 experiences for more than one major required course. The capstone explores areas of interest based on the integration of prior learning. The capstone requirement may be satisfied through a course, created work or product, or some form of experiential learning (e.g., honors thesis, mentored research project, and other special student activity). Departments are responsible for certifying that graduating seniors have met the capstone requirement for their majors. A minimum grade of C- is required in all biological science courses that are counted toward the requirements for a degree in MEFB. Students who expect to compete successfully for post-baccalaureate programs should attain a cumulative GPA of 3.0 or higher by the end of the sophomore year and maintain it at that level. Note: It is strongly recommended that students participate in an exchange semester at another university or in a field-oriented program or internship. There are many exchange opportunities available in which a full semester of credits toward the major may be earned. In addition, students should explore the courses at the Shoals Marine Laboratory (SML), which provides an excellent setting for several "field-oriented" courses during the summer. Often there is financial support available for the SML programs (see the SML website for details http://marine.unh.edu/sml/ or the Cornell web site at www.sml.cornell.edu). It is further recommended that students explore possibilities of one or more semesters of independent investigation (research projects). For details, students should contact their adviser. Financial support is available for most of these programs. MEFB majors who wish to pursue postgraduate degrees in the health care professions should visit www.unh.edu/premed-advising. The following elective courses will be helpful in preparing for admission to post-baccalaureate programs in the health professions and for their required aptitude examinations: BMS 702, ZOOL 518, ZOOL 625 and ZOOL 626, BMCB 605, BMCB 751 and BMCB 752, ANSC 511 and ANSC 512.